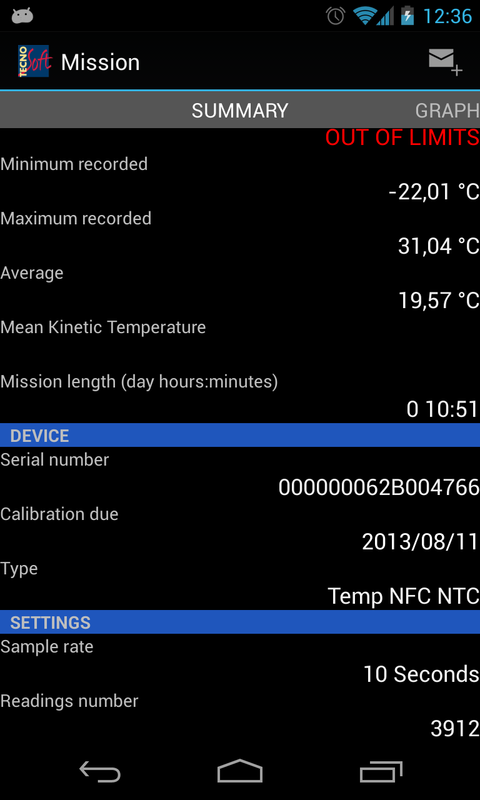 Temp NFC Ent is the Cloud version of the Android App for the TempNFC temperature data logger management, downloadable for free from Google Play. The other versions of the App are: Lite (free, limited functions, no Cloud synchronization) and Pro (payd version, complete functions, no Cloud synchronization). To be able to use the Cloud you will need at least 1 Administrator account. If you want to assign groups of TempNFC loggers to different users, to avoid that each one can see the loggers and data from the others, buy also users licences, one for each operator. Administrator will always see data from everybody.